The artistic journey of Bert Liverance has led him to create brightly coloured floral watercolour and oil paintings in a hyper-realistic style with stunning details. "I’m a visual explorer and student for life. Every painting I create teaches me something new, anything from how to handle a colour or how to paint an edge. "After painting oil on canvas for two decades, I had admired but was very intimidated by watercolours. I had never taken any water colour classes. Big mistake. The attempts that I made working with water colour never met my own expectations. Yes, artists are their own worst critic, myself included. "I’d heard it said that taking classes helps a person go up the learning curve much faster than if they attempt it alone. "So, about three years ago I did something different. "After going through the learning curve with oils, which I am still learning, I decided that I would take a program focused on water colour. 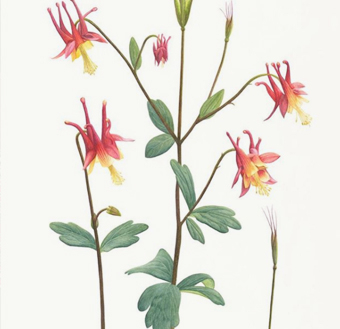 A fellow artist from the Botanical Artists of Canada mentioned a three-year diploma program in Botanical Illustration with the Royal Botanic Gardens Edinburgh. "The Botanical Illustration program exposed me to colored pencil (see Rhododendron drawing in coloured pencil), pen and ink (see birch bark drawing in pen and ink) as well as water colour. "Each new medium stretched my brain in new ways to my surprise and delight. I really enjoyed the new mediums. John Muir Laws talks in his blog about how the neural path between our brain and our hands improves the more we draw. "The exercises in the Botanical Illustration program forced me to produce a lot of drawings, which I believe not only improved the connection between my brain and my hand but also helped me understand the new medium. "The botanical style of painting was very different from my oil paintings in another way because in the classic botanical paintings there is no background. Creating a painting without a background means I couldn’t use the background to accentuate the focal point using say, a darker background to make a lighter object come forward. "At the same time, the botanical style is still trying to convey a strong sense of three dimensions. This meant I had to really focus on the lights and darks of the objects I was painting. "The third and final year of the program brought everything together I had learned in the prior two years. For the third year, I did preparatory sketches, tonal studies, and colour matching to create five paintings in a classic botanical style. The Canadian Columbine (see watercolour painting) is one of the five paintings. "My journey of learning continues with every drawing and painting I create. I supplement my learning by attending conferences, reading books and drawing every day. It helps me see the wonderful details that mother nature offers to all of us. "I am a student for life." 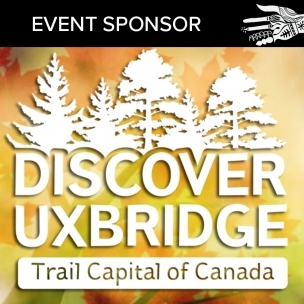 Be sure to visit Bert's Studio during the 2018 Uxbridge Studio Tour.